This website was initially created to promote Highest Praise, and Christian music, as broadcast on ObanFM on the West Coast of Scotland. This site will now be improved by the addition of scriptural treatises prepared to aid Christians in their daily walk, and to help non Christians understand why we believe what we do. I and contributors to Highest Praise believe that Scripture is the infallible Word of God and it is from this premise that all studies will be based. It is our prayer that you, the reader will be blessed as you read these and be encouraged and strengthened you in your Faith. 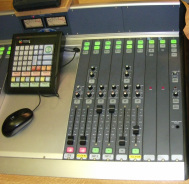 Broadcasting from ObanFM (103.3) and on https://tunein.com/radio/Highest-Praise-p153996/ each Tuesday evening at 7.00pm for an hour of contemporary Christian music and chat from the West Coast of Scotland. Click on the image to take you to ObanFM radio. This programme is also aired on Gospel 4 Grampian (G4G) on Thursday evenings at 6.00pm and Sunday afternoons at 3.00pm. Click on the photo to link to the online radio station. 'There is one thing we do on earth that we will continue to do in Heaven. That is to praise and worship God. That is why we view life on earth, for those who love Jesus, as choir practice for Heaven. To say that praise and worship is the most important category of music today is an understatement. In the light of that, there is no more important activity of the human heart than to praise and worship God. This is the reason we exist. Grateful Thanks! - Highest Praise is aired on Commercial Radio, and as such there is no funding for resources which have to be supplied by the presenters. Needless to say, with Christian music there is such a diversity out there that to keep up with it all would be impossible. Therefore, any donations of CDs is always welcome. They are all much appreciated. 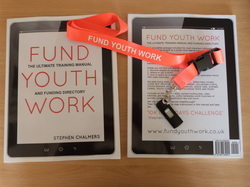 Needing to fund youth projects in your church or community? Click on image to link to website where you can purchase information with templates and examples of how to submit grant applications, and to obtain expert consultancy from Steve Chalmers who has obtained £100K s for various charities in UK. See what is happening in the Christian Music Scene in Scotland. A commentary on the New Testament book of Jude. The early New Testament churches underwent many forms of attack, many from without but some from within. Jude writes in earnest to one of these new churches to warn them of the dangers from unscrupulous men who have essentially infiltrated the church with heretical and licentious ideas. These men are preaching a different gospel to that of Christ. They advocate sin so that grace may increase, or is that just an excuse to sin more? Find out who Jude is and from what position of authority he speaks. Identify the cause for concern in the church and how this was to be handled. Read of the punishment that awaited those who perverted the gospel and tried to turn believers astray. 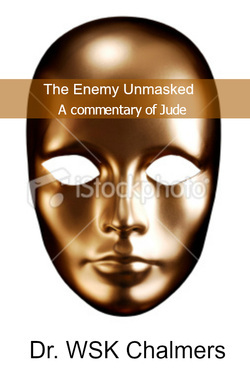 See how Satan tries to undermine the Bride of Christ but Jude, prompted by the Holy Spirit, reveals his tactics-Satan is the enemy unmasked. Highest Praise is always willing to advertise Christian events and promote Christian business without charge. Advertising in Highest Praise does not necessarily imply editorial endorsement. Highest Praise reserves the right to accept or refuse advertisements at its discretion. Why not advertise your event on Highest Praise website for FREE?